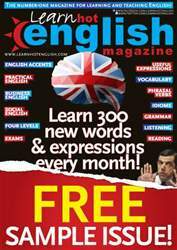 Digital Subscriptions > Learn Hot English > Sample issue Learn Hot English > Diana the film the British hate! Princess Diana died in August 1997, but she’s often in the news. A recent film about her, Diana, has just come out. However, it’s had some pretty bad reviews. Diana is a 2013 biographical drama about the last two years of Diana’s life. The movie is based on Kate Snell’s 2001 book Diana: Her Last Love, and stars British-Australian actress Naomi Watts (who plays the part of the princess).